I drive a Volvo and I don’t think I ever shared with you all the meaning of the word in Latin. I love it. It means, “I roll”- it comes from the root word volvere which means to rotate, travel in a circle or revolve. How fun is it that the car company used that word for their autos? 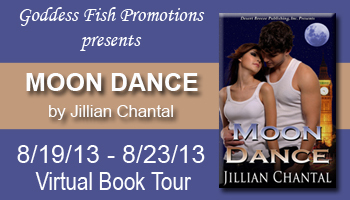 The blog tour ends today with two more guest posts. These are the last chances to win the necklace I’m giving as the grand prize. and my writing quirks here. My dad had a volvo. Great car. Then a few years ago our grand daughter bought a used one and it was really a lemon. After we got where we could Jack always wanted a new car, afraid of ones turned in. 🙂 I never thought about the name but what an appropriate one. I haven’t been following blogs so much lately. But intend to get back to it. Glad you had a good run on the tour. I’m with you on the blog following thing Lavada. It takes time and I’ve been short of that lately. I love my Volvo. I’m lucky it’s a good one. I’d be so upset if I got a lemon. Don’t we all need a car we can keep out of the shop? I hate car repairs! LOL! I have a good friend who bought a brand new car with like 4 miles on it and it spent more time in the shop than with her in it. UGH! Volvo; I hadn’t realized it, but I love it! hahaha, I love your husband’s comment about the losers. That’s funny! AND I’d rather be on a mariner that stays afloat than an armada that sinks! I don’t want to end up in the ‘drink’ in any car!